Welcome back y'all! That's the first thing I (we) want to say. Do you remember when I used to say, "when I'm silent I'm working on something"? Well well. Now, this one I had already covered, like two or three eons ago. Seems like a few entire generations passed since then - it's the passage of time under the effect of the internet(s); it makes time flow differently. Well it is about time to write some details in this white space no? You know me (at least a bit) and therefore understand that not too long has to pass for me to go back to my personal holy grail, that being the "Back in Black" sound. I am going to try and compile here - this time - the covers that refer to For Those About To Rock. Just for ease of access really, and to try and keep what I write in a sole place so that you don't have to go picking up stuff around in bits and pieces. NOT that I think what I have to say is SO important after all. So the big chunk I am going to say it right after the first three covers. Enjoy. With this one I wanted to do something slightly different than the previous two songs: use the TSR™ the whole time. Would it be accurate, fair and sound good all at the same time? I don't know, let's evaluate it together item by item. AC/DC’s “Walk All Over You”, The Schaffer Replica™ Series (A SoloDallas’ Cover) NOW WITH EQ Settings and RECORDING Details. One of the first things that I want to let you know is that our videos won't be blocked in any country from now on (unless they lock me up for copyright infringement, that is, which sooner or later they will and then some of you who have direct access to Mal or Ang will have to vouch for me). Our videos are now on our own server. Should be visible from any media player too, including the pads, peds, pods etc. [jwplayer mediaid="9665"] Details details… God is in the details, they say. Before you proceed in reading this one, I ask that you read my previous one. The album "Highway To Hell" has naturally many things in common song for song first and foremost being, naturally, the way the guitars were recorded. So please make sure you read here "Walk All Over You" before continuing the short remainder below. Having worked for so long on the previous "Walk All Over You", has given me quite an insight on the whole album. You go back and forth listening to one song hundred of times, in mono, stereo, left channel, right channel. Everything can count to get it right when you are looking for hints (for your sound to match). Here to you, the second part (out of... X) of our "Studio Day" in Los Angeles, CA last August, following up on our first Test Driving A Schaffer Replica™ Pedal & A Rock N Roll Relics Angus Model: AC/DC’s “Sin City” where Billy Rowe of RockNrollRelics.net and myself "test drove" our respective pieces of equipment (his "Angus" model SG Standard modeled after a late '60s Gibson SG Standard with some specific requirements by me, first and foremost being, my requirement for playability and ease of set up whereas often vintage Gibson SGs really demand a lot of work for a number of reasons). 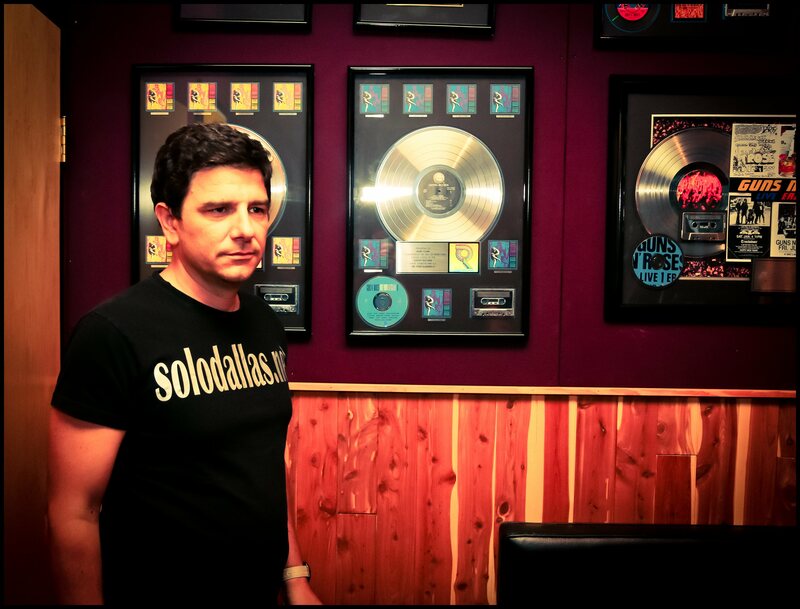 The Studio was Gilby Clarke's own home studio (beautiful!) in Los Angeles. I can not quite describe the feeling of being there while looking at some gold albums affixed on the walls... felt pretty weird. Gilby was terrific with us. Completely down to earth, colloquial (i.e., liked to speak to us), just a common "rock n roll guy" like us. Since he's been friends with Billy for a long time (probably since the teenager years) this surely helped. It was several years ago (5 probably) that Gabriele and I met "online", both passionate about AC/DC as we have always been since an early age. And it had been years that we wanted to do some jamming together, so he took the chance and came to Rome - he's from Milan - and stayed a couple days at my place. In probably 1 hour we had setup my living room (it's a beautiful, long and bright room with wooden floors) with a couple of Wizards, older Marshall cabinets (his has G12H30s, mine cross G12-65s & G12Ms, all from the 1970s) and two Audio Technica AT4047s connected to my Mac Book laptop, recording with Audacity. We improvised probably 5 or 6 AC/DC tunes among the many (I believe almost all) that we know, but we only used the backing tracks on a couple of songs and one is the one you see here (second one to be published next week). Hey Fil, why don't we just get into a studio, you and I and two other guys and sort of wing one or three AC/DC tunes we like? You wanted original sounds, like the ones recored. Well, we promised you that actually. So take this. Hope you like toons? :D Took me 5 days to accomplish. 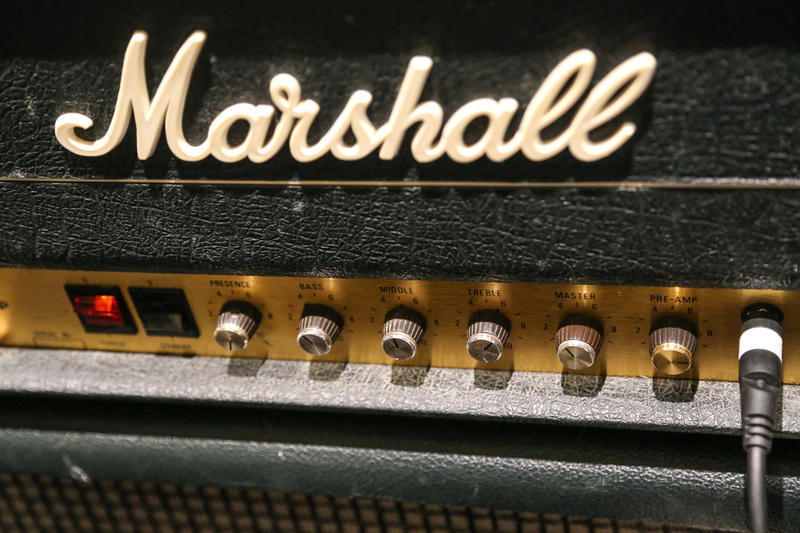 Update: please note, this post now includes Angus Young's "official" amplifier settings! Please read below. It was one quick email exchange with Mr. Ken Schaffer (his personal site here) that suggested me (well, he did) a possible title to end this year and bring on the next one. Given my recent meeting with Mr. Elliott Randall (and my past as a listener to Steely Dan since I was oh 17 years old) I just had to try and wear much larger shoes than mine: Mr. Randall's, in fact. So it is another sweet pleasure to introduce you to "Reelin' In The Years". To those of you who haven't listened to Steely Dan yet - please do so. There is world to learn about music into Steely Dan. Surprised huh? (Laughs). Well, although I NEVER liked Guns'n'Roses (and probably never will for plain reasons I can explain easily), I really like the latest Slash. And it ain't easy either to play. Got a nice swing to this tune here. This one took me circa four days to prepare, before final recording that is. I have been trying with the microphone position (Neumann U47) and with mild - really just a bit - equalization. The microphone used in this album - or the microphones - was a Neumann U47 FET, a different microphone to the Neumann U 47 tube version, which is older than the FET design. After doing Riff Raff, I wanted to embark into something seemingly simpler (seemingly!). So I chose another one I knew already, at least in part (every time I approach these fine songs, I find some difference to what I used to think/know). NOW I'm starting to have fun. This video is the second one of the "debunking" series with the Schaffer-Vega Diversity. As with the previous one, "Back in Black", I intend to cover quite a few songs with the exact same equipment they used back then, or the closest approximation I have available. I used the Schaffer-Vega here only on the solo - which is my own thingnote - as I believe was on most albums since 1978 onward. I love the SVDS: did you know? BREAKING NEWS! Well, I was talking over the phone with my long time Italian-Canadian friend "Max" (he's a member here too). Max has lived for decades with a 1959 replacing his own heart. IMG 0576 from SoloDallas on Vimeo. Well, you haven't seen me for two days, have you? Certainly you couldn't care less, I know, and you're right :) But I was working on this "tune", if we can call it so (and I don't know). Thing is, that last sunday Avid's Mr. Chris Townsend had gotten in touch with me regarding my use of Eleven Rack. He had seen a couple of my videos (maybe less) and he said he liked them. So he said that they would give me a beta version in advance to the General Availability for the public of the latest update for the Eleven Rack (it's a pay-for update and they gave me a perfectly working beta for free!). Eleven Rack is a splendid piece of Hardware and Software - a modeler, they call it - that emulates the whole signal path from guitar to "tape" (hard disk), that is, amplifier, effects, cabinets, microphones and many super cool other functions. We had talked about it a bit when I was using it so much last summer. Mr. Townsend and his Team just released a much awaited update to the software (firmware) of the machine, that allows for even more things than before, with new amps, effects and... speaker breakup. Well, how could this one miss from the lot of the New Series? It couldn't, is your sincere answer [sarcasm]. So I did it for you. And for me. And probably it won't be the last time either. No secret, this is my number one, favorite song of all times across any musical genre. This is it, it's the one that rings my bells. sdif720 from SoloDallas on Vimeo. This is one of the two new videos I have been working on silently during these days (when you don't hear from me, I'm either away, or working too hard on business or studying new content for SoloDallas.net!). I have been trying to capture studio tone and the usual performance feeling. Also, I think I am understanding better and better micing (i.e., the positioning of the microphones), equalizing, recording and mixing in general. It's. Lot of work, but it is neessary. I am leaning towards thinking that amplifier settings, guitar settings, micing, equalizing and mixing all work together almost seamlessly to get you the tone you have in mind. Naturally, the playing is always the most important component, but the tone... is not in the hands (or not only in the hands). 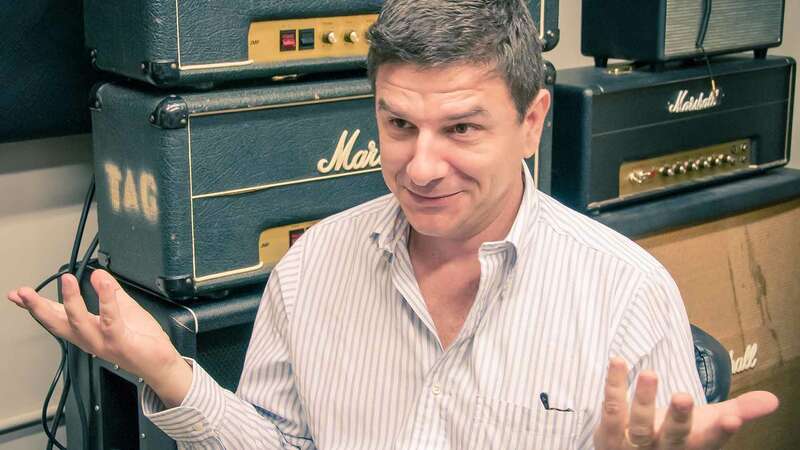 I mean at least, for that whole part that we consider as those tonal characteristics that are contained in the guitar type, amplifier and cabinet types, microphone type and its posotioning, equalization, mixing etc. There is a lot of components, as you can see and hopefully, hear. Well, I love collaborations. Not that I did many to tell the truth :P This is my second one, and my second one with André. I like working with André. We worked hard - the both of us - on as many aspects we could on this as it was possible to us. But let me introduce you to the video performance first, chatter later. Someone had posted a cover of this song days ago. And it just reminded me that I love this song and I had never covered it. So here you have it. Tough one, as always with AC/DC going for feel. Now onto some technical aspects. Heh. I think I am getting closer. Highway To Hell seems "easier" to get to in terms of tone replication. 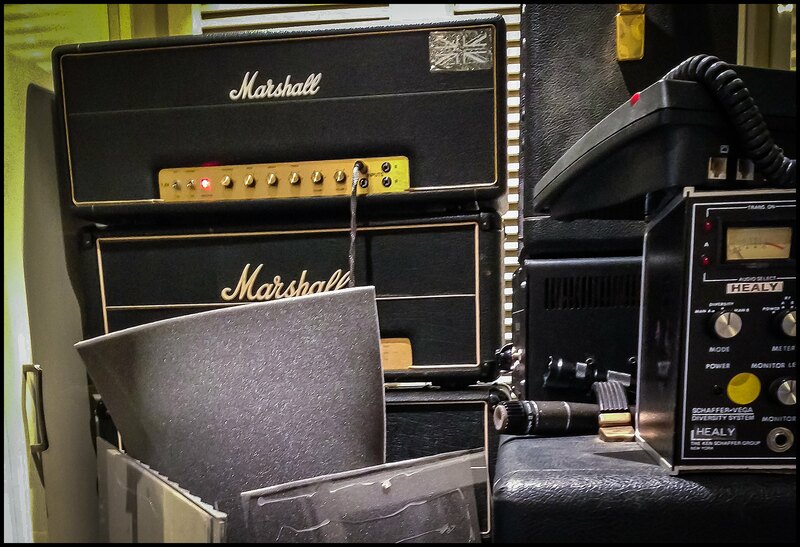 I am convinced strongly, more and more, that Angus recorded many parts with a Marshall 2203 or 2204. Well, with the arrival of the Aracom PRX150 DAG (Power Attenuator) I can finally reach new heights. Why? Because this is a REAL attenuator, like I've never owned before (review coming soon). This attenuator - a passive one - lets me crank properly any amplifier power section - included the ones of MVs amps, such a 2203 or a 2204, as in the case with this video - and obtain finally proper sound. I know, I seem a bit too revolutionary, but please listen for yourself.